Are you ready to purchase a nice new Canon L series lens or a Speedlight flash? Now is the time with their instant savings until Sept. 3, 2011! Click here to visit Amazon and have a look at these lenses/ Speedlites. 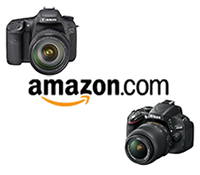 Or please consider using my affiliate links for B&H or Adorama by clicking the icons on the left side of the page.